Ford guides the way to the future with Ford Co-Pilot 360, now available in vehicles at Team Ford in Edmonton. We are proud to offer the most advanced collectionof standard driver-assist technologies, never before seen in Ford vehicles.  Emergency braking, Blind Spot and Cross Traffic alert, Lane Keeping, Auto High Beams, and Reverse Cameras are all included in Team Ford’s Co-Pilot 360 Suite. These features work in unison to offer unparalleled safety and a seamless driving experience by providing assistance you can trust. Automatic Emergency Braking with Pedestrian Detection comes standard with the Co-Pilot360 Suite to help drivers avoid a collision in emergency situations. When an object crosses the vehicle’s path, a warning flashes and an alert sounds. If the driver doesn’t apply an adequate amount of braking power to avoid a collision, Emergency Braking will assist. State-of-the-art radar detects the field of vehicles surrounding your Ford, and notifies the driver to plan safe lane-changing opportunities. When you’re backing up, BLIS will also monitor cross traffic moving behind the drivers field of view and send alerts if danger is present. Working together, these assistance technologies will drastically reduce the danger of collisions. Ford’s Auto High Beams not only engage in low-light situations, but also detect oncoming traffic and dim accordingly. You will never again have to drive with one hand on the high beam lever. The days of fumbling to turn around to back up are over. Hidden reverse cameras are mounted on every vehicle with the Ford Co-Pilot 360 Suite, and the rear field-of-view is projected from a dash-mounted LCD for total comfort. Move forward with the Ford Co-Pilot 360 Suite, available now at the premier Edmonton Ford dealership—Team Ford. Contact us, or book a test drive today to experience this exceptional driving technology in person.